The city of Grover Beach received 12 applications for the two medical marijuana dispensary permits it plans to issue. A few of the applicants are local businesses, while others come from around the state of California. City officials will interview the applicants over the next few weeks and will then rank the applicants based on which ones most deserve to win a permit. Sources in the industry, however, told CalCoastNews that several people have already been promised the two slots. The two dispensaries are expected to open their doors in early 2018. At least initially, the Grover Beach dispensaries will only serve medical marijuana patients. But, in January 2018, the state will begin accepting application for recreational marijuana dispensary licenses, and the city may allow pot businesses to cater to all adults, rather than just medical patients. The Grover Beach Police Department is preparing for the opening of dispensaries by looking to hire a detective who would monitor the pot shops and help them stay in compliance with city ordinances. The dispensaries will have to comply with rules pertaining to odor, safety, security and other issues. City officials will deliver the rankings of applicants to the council in September. 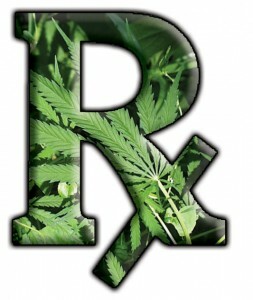 A council hearing on medical marijuana is set for Sept. 5. Why the limit of two dispensaries? How about allowing as many dispensaries as there liquor stores and wine tasting outlets? Why are there only 2 slots? How is this American free enterprise? Where is COLAB now? Mike Brown, Andy Caldwell, T. Keith Gurnee, Dan Carpenter, or Lynn Compton. What say you? When it’s in their best financial interests to speak out, they speak out. When it’s in their best financial interests to say nothing, they say nothing. SLO CO: Come here! Get fracked up and spend all your money! Is all SLO government stupid and corrupt? Just for kicks, can anyone point to any story that would make me think, “Wow, we have elected officials that are making intelligent and ethical decisions; they’re truly looking out for the well-being of the people they were elected to serve”? The scuttlebutt amongst the marijuana proprietors is that, although the Council said all along it would allow 4 dispensaries, Council Member Jeff Lee and Mayor Shoals promised there would be 2 now and 2 in 2018. Sure enough, at the very last of many public hearings, the 2nd reading when everyone thought it was settled, Shoals and Lee pushed through an eleventh hour change to limit it to 2 dispensaries.Shoals and Lee both received multiple recorded donations from marijuana interests. Those who did not pay to play have all been sidelined. Several marijuana interests were solicited for sums of $25,000 by friends of Cory Black for the Yes on ‘L’ Measure. Less than $5,000 was reported by Lee, $8,000 by Cory Black for the Yes on L Measure, and not much more by Shoals. Those who funded are not the nice guys. Shoals and Lee are in trouble now.The industry knows they were funded well beyond that reported. Which way will it go? If they start playing straight now they may not be around for long. If they don’t play it straight they may find they’ve moved to new County, State, or Federal accommodation.